Opening hours: Banks usually open from 10 a.m. until 5 p.m. Monday to Friday. Post Offices open from 9 a.m. until 5 p.m. Shops generally open from 9 a.m. and 6 p.m. with shopping malls closing later, usually around 9 p.m. 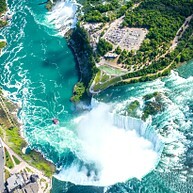 The famous natural landmark of Niagara Falls is the number one attraction Toronto visitors simply cannot miss. Located on the United States/Canada border, this majestic waterfall, the second largest in the world, inspires awe and attracts millions of tourists every year. 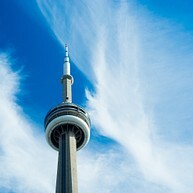 One of Toronto's most important symbols and well-known landmarks is the CN Tower. The tower's top level is where the world's highest observation deck is located, offering visitors a stunning view of Toronto's skyline. The tower's third level houses a high-class restaurant with spectacular vistas, and a cafe occupies the level below. The tower serves a practical purpose, too - it is a major Canadian telecommunications hub. This major museum is made up of three buildings with multiple art, archaeology and science exhibits spread out throughout its rooms and halls. 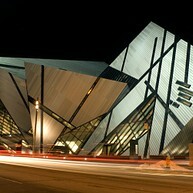 Royal Ontario is one of the largest museums in North America that attracts hundreds of thousands visitors throughout the year. Subdivided into several different zoogeographic areas, Toronto Zoo is the largest zoo in Canada. The displays include animals inside tropical pavilions, as well as naturalistic ones, where animals live in an imitation of their natural environment. 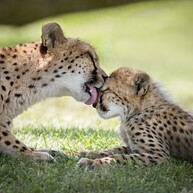 Toronto Zoo´s idea is to be Canada’s national leader in saving wildlife to guarantee the rich variety of nature for upcoming generations. This historic district is home to the best Victorian architecture collection in all of North America. 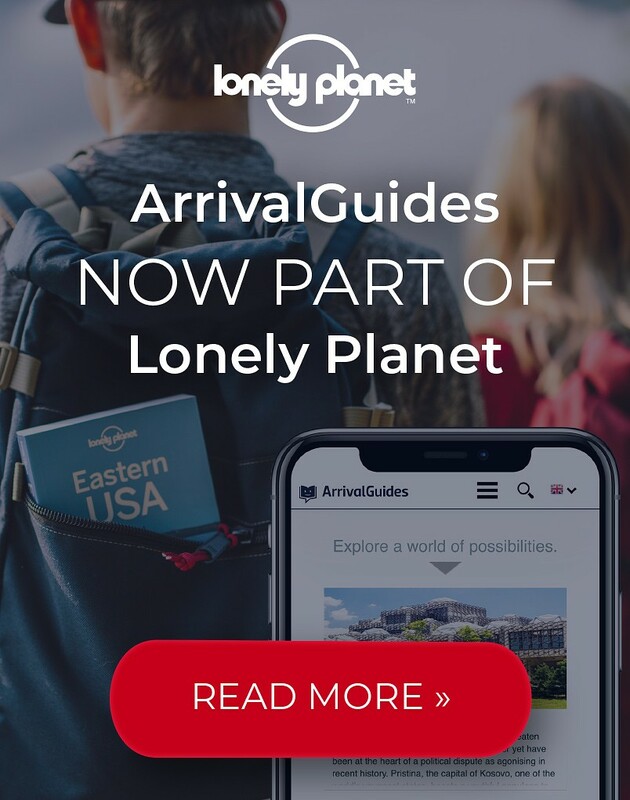 It is not only drawing visitors with its architecture, but also for the entertainment options - numerous art and design venues, bars and restaurants dot the area, making it a very attractive spot for locals and travelers alike. The medieval Gothic Revival castle of Casa Loma today belongs to the city of Toronto and has been used as film set for numerous movies and TV shows. The castle is open to visitors, who are welcome to explore its halls furnished with authentic period items. 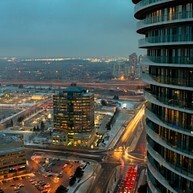 The view over Toronto from one of the towers is definitely worth taking in. The Toronto islands make for a wonderful getaway from the hustle and bustle of the city. Located only a short ferry ride away, the islands are a fantastic way to spend the day. Centre Island is very family-friendly with its kid's entertainment areas and bike rental locations, and Ward's Island if you're looking to hike and enjoy nature. Visiting Toronto's Chinatown is an ethnographic experience in itself. Whether you're looking to browse through mysterious natural herb medicines or quality Chinese teas, you'll be in the right place. 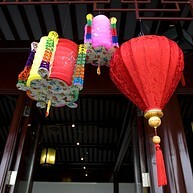 Dining options also abound, everything from Chinese, to Vietnamese, Thai and Japanese restaurants are all located here. This venue is both a museum, dedicated to the history of ice hockey and a hall of fame. Fans of this popular winter sport that Canadians take very seriously will surely find plenty to keep busy with. Don't miss the Stanley Cup also on display here. 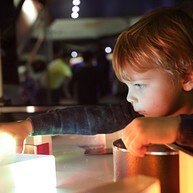 An interactive experience from which any age group will learn, the Ontario Science Center is full of fascinating exhibits and holds daily science shows. For the younger ones, there is KidSpark, where children can play, explore and be engaged in sciences. Don´t miss the IMAX theater showing movies about our planet, sea and nature or the adjacent Space Hall that houses Toronto's planetarium. 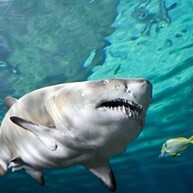 A fun adventure for the whole family, Ripley's Aquarium houses thousands of sea animals and with interactive and educational exhibits, kids and adults will keep themselves busy for few hours. Don´t miss out the tunnel, when walking through all kinds of marine creatures will swim by and above (the aquarium is especially known for its multitude of shark species). Daily dive shows are held every two hours. This huge amusement park houses the largest variety of roller coasters in all of North America, and also contains a 20-acre water park (for those who don't mind making a splash). The park promises loads of fun for the whole family, and season passes are available. 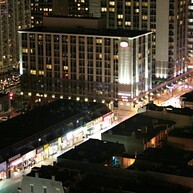 Toronto's central square has been compared to New York's Times Square, due to the abundance of colorful billboards and shining lights. Located in the very midst of downtown, it is a sight to behold both day and night - the square teems with people and enticing shopping and dining venues. The Absolute Towers are a landmark not to be missed - they liven up the cityscape with their unusual design and are one of the most original-looking residential condominiums out there. The skyscrapers twist to challenge strictly utilitarian modernist perspective on dwelling buildings. Cross this bridge on foot or by bike and take in the views of the city as you pass. The view of the bridge itself from below also makes for a nice photograph. The bridge has been distinguished by several architecture and engineering awards, and commemorates the old aboriginal trading route once in existence here via themed carvings. 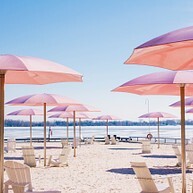 Sugar Beach is indeed a sweet spot for Toronto residents during the summertime - conveniently located in close proximity to the Financial and Entertainment Districts, the Beach (named after the Red Path sugar factory located in the vicinity) makes for a perfect relaxing venue.